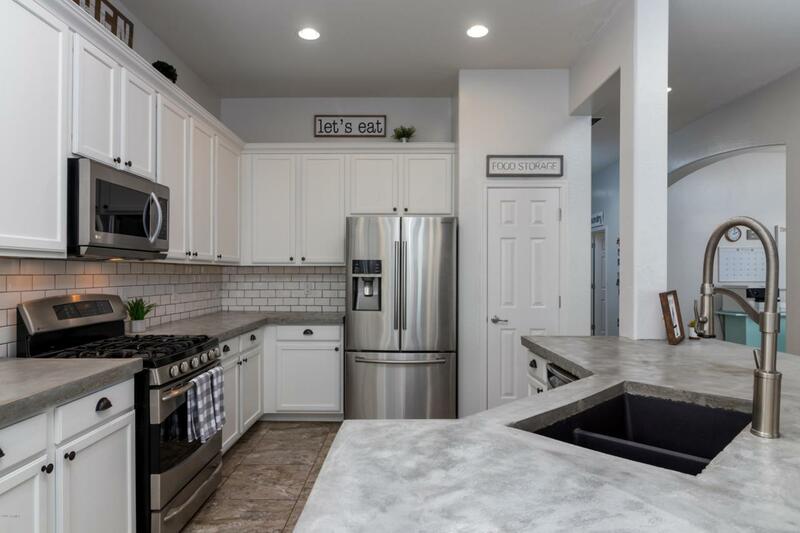 This beautiful 3 bed, 2 bath, single level home boasts an open, split floor plan with a highly sought after 3 car garage! 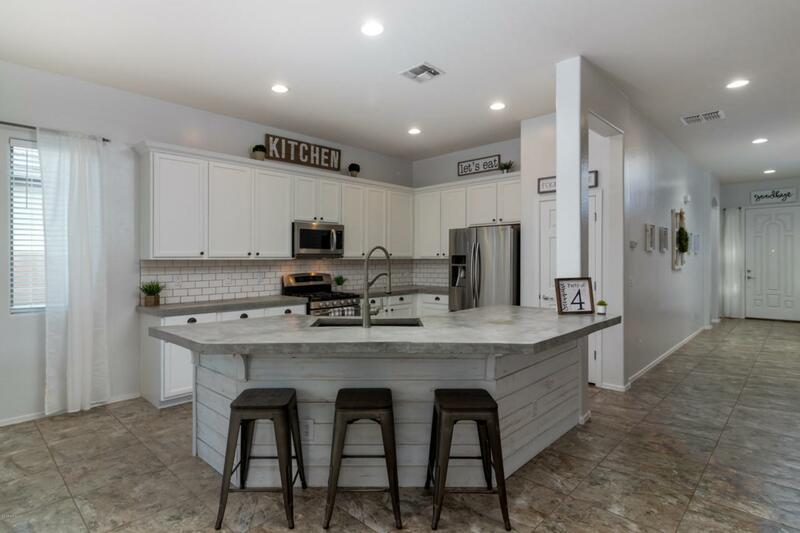 Step into the stunning, newly updated kitchen complete with white cabinets, crown molding, 2'' thick concrete counter tops, white subway tile, charcoal kitchen sink with new fixture, stainless steel appliances and over-sized island with shiplap accent. 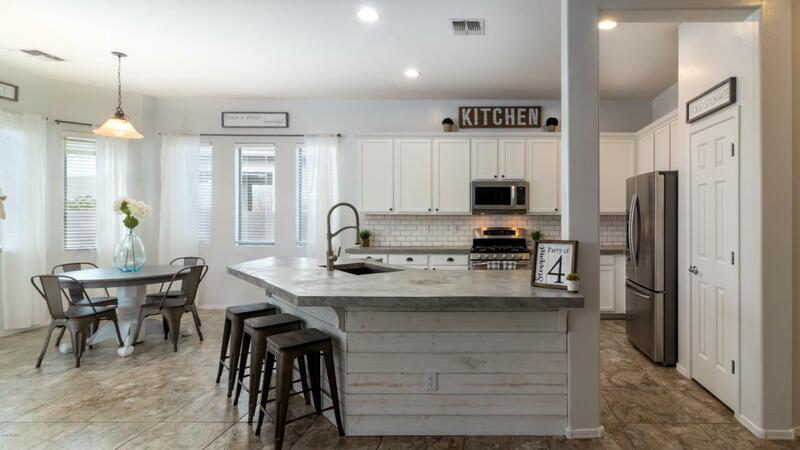 Along with the huge great room, this home features large bedrooms, formal dining room, open master bedroom complete with airy ensuite and freshly painted interior. 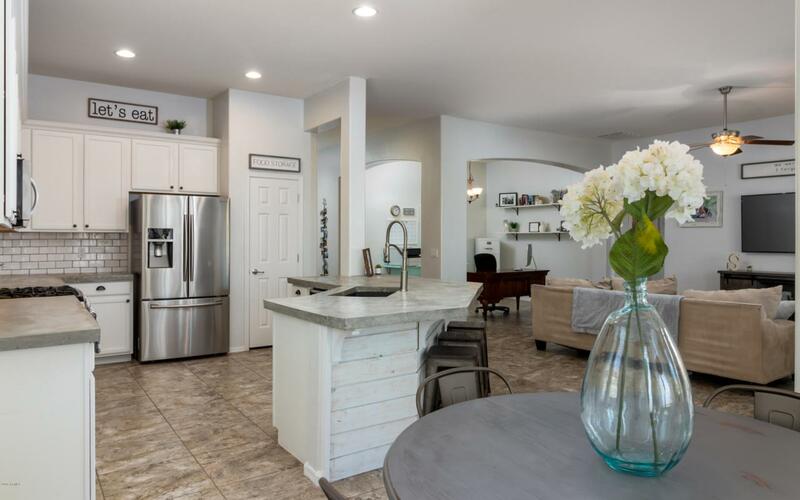 Spacious master features large walk in closet, separate tub and shower, updated vanity, and beautiful wood grained tile. The backyard, complete with large grassy area, curbing, desert landscaping, RV gate, and paver sitting area is perfect for entertaining.